This the beginning of THE VEILED HEART…. His nose was straight and solid, and with the darkest of eyebrows arched in question at her. Arched over her sure downfall. Her pulse beat faster as her breathe became shallow. Miriam closed her eyes and then re-opened them. It was still there. She gazed in confirmation at the clearest blue. The color of the Greek ocean as it sparkled a liquid turquoise. 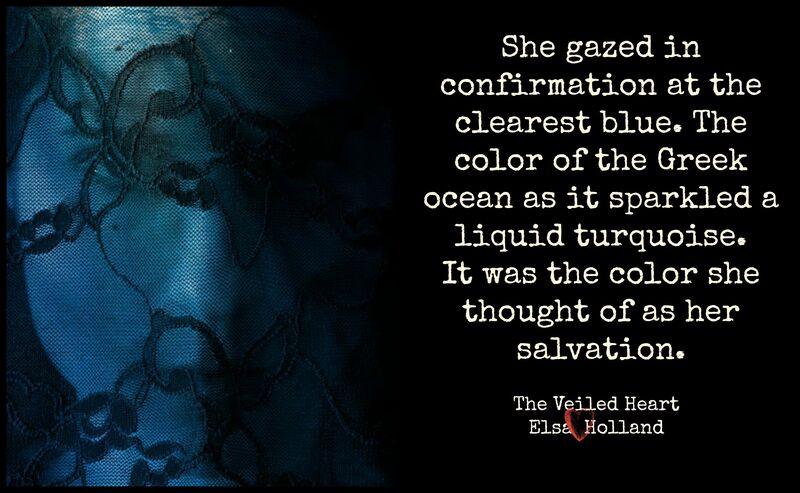 It was the color she thought of as her salvation. It had circled her husband’s yacht as he lay asleep below deck. Asleep he’d been oblivious to the fact that she had taken off all her clothes, jumped into that color of promise and floated as if her life had meant nothing. And at the time it hadn’t. “No,” she croaked defiantly while her defenses crumbled. His face lost its smile. “Be reasonable madam, one is all I need.” His hand reached out to the box still on the counter and the angel, god bless her, slapped it away. “No.” Miriam’s voice was clearer and projected assuredly even as her limbs trembled. One second after another gave her the time to collect her composure. Looked as if he could see right into her, as if he could see past the veil that guarded her from sight. Looked into those blue pools of light as if they held salvation, but they didn’t. There was a cough from somewhere in the shop, some soft talking and the sound of one of the cabinets opening. Raised his hands palms forward in a signal of surrender. A surprisingly civil response. As if he understood. Understood defiance was the very foundation that held her up.